Can’t believe January is nearly over!! Phew!!!!! 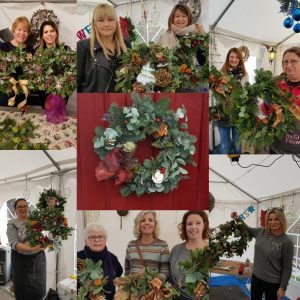 what a busy Christmas & January we had here at www.recreation-flowers.com the workshop was stacked out with flowers and goodies ready for our Open House, Masterclasses Wreath making and Table centre making for Christmas Day. 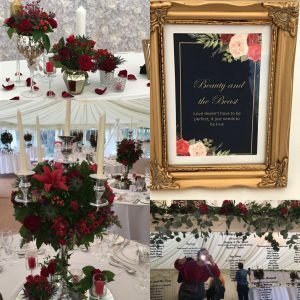 Together with providing our decorated Christmas trees all over Essex and into London , local flower delivery and along the way we managed to fit in TWO special weddings in Essex, didn’t we do well! Take a peak at the medley of pictures above. We appreciated the close of business for the festive season to relax and enjoy the time with family and friends and take time to recharge ourselves and think about the coming year. Straight back in to January brings a time for reflection, especially with the amount of funeral work we have taken on over the last few weeks. Very different families and different funeral tributes to suit. We have delivered all over to Leigh on Sea, Southend, Billericay and Upminster. Funeral flowers are removed from the crematorium often the following day so what flowers are ordered is crucial. 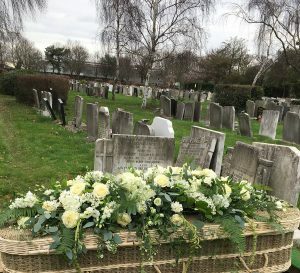 Some families stick simply to a glorious coffin top, others to just close family flowers, a sudden passing often is when people send flowers the most to show their sympathies to the relatives. Whatever the choice, Re:Creation offer home visits to discuss the tributes that individual families want. So February 2019 is upon us and we have already started to plan for Valentines Day bouquets. 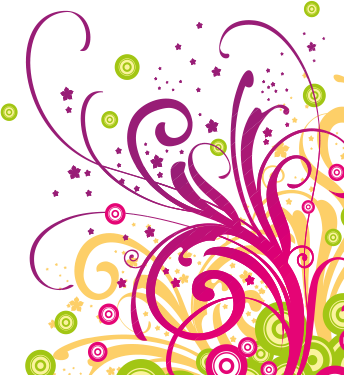 We shall shortly be publishing our ‘florist choice designs’ for that Special Day should you need them but if you have a special request i.e. Red rose with a male/female pamper box or a rose petal carpet to the Prosecco ice bucket do let us know.